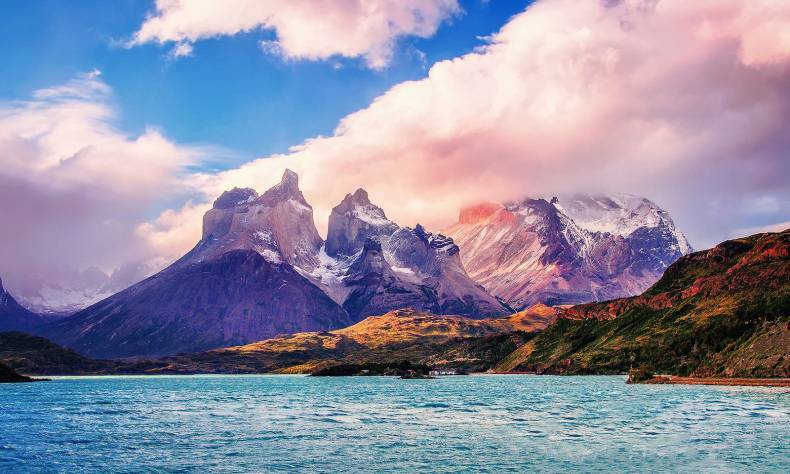 Why Chile has the bluest sky in the world, why the natural views in Chile are so diverse, why Chile is abundant with the most delicious salmon, red wine and avocado. 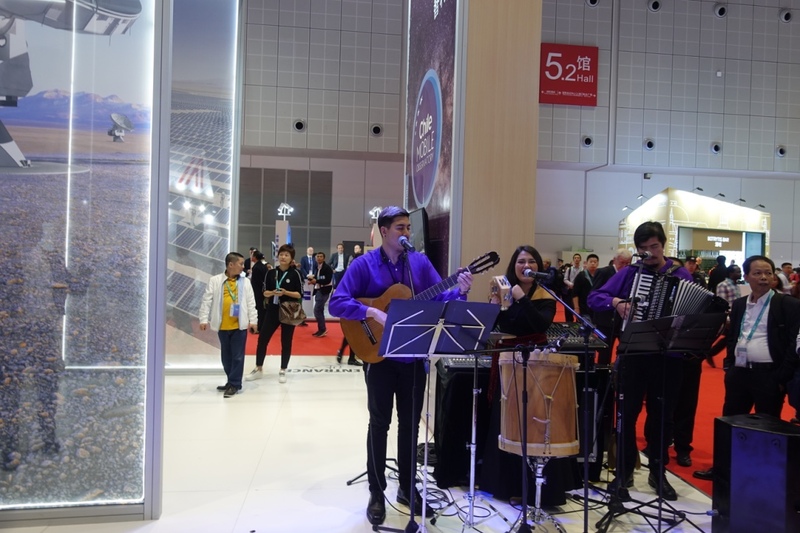 Although the first China International Import Expo (CIIE) is getting toward its end, the professional visitors and trade delegations are same enthusiastic as those at the beginning of the expo. They look around and make queries with their admission cards in different colors, hoping to find more commercial opportunities. There is a real buzzaround the Expo to make the three-floor exhibition center look crowded. National pavilions have an appeal tolots of people. Many foreigners, wearing costumes with their national characteristics, are busy introducing specialty exhibits to the visitors. When the journalist from China Focus entered National Pavilion Area, among various exotic pavilions with their own features, she passed by the Chile Pavilion, a relatively simple but elegant pavilion with green as its main color. When going through the country brochure of Chile, the journalist met Carolina, a doctoral candidate of International Chinese Language Education in Beijing. Carolina’s Chinese name is Luo Lin, and she is a typical South American girl, cheerful and outgoing. This school girl came to the first CIIE with the Chilean government. Luo Lin was appointed as introducer at the front desk for her excellent Chinese. She said with a smile, “I like this part-time job very much, because it not only helps to improve my Chinese but also gives me an opportunity to talk with friends from all over the world.”When introducing her motherland Chile, Luo Lin was full of proud. She explained cheerfully why Chile has the bluest sky in the world, why the natural views in Chile are so diverse, why Chile is abundant with the most delicious salmon, red wine and avocado. 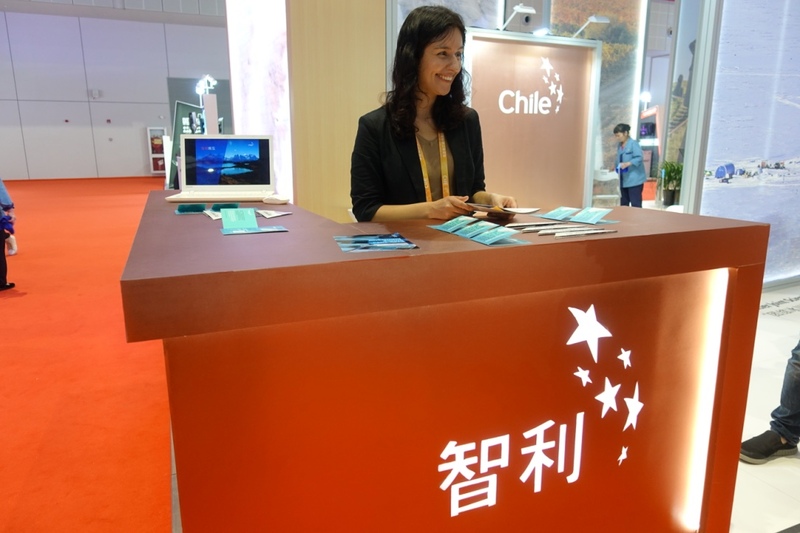 “CIIE gives me and my country an extremely terrific opportunity to introduce the best things in Chile to China. I am so happy. Because in my heart I have two motherlands, one is Chile and the other one is China,” said Luo Lin. The journalist joked about Carolina and said, “I always reading the news that someone says he loves two countries deeply. Today, I finally heard the words with my own ears.” Carolina explained immediately, “That’s true. I am half Chinese. Look, I drink hot water.” Carolina showed the journalistthe large-size vacuumcup beside her. Carolina can speak Chinese, English and Spanish. Her dream is to teach Chinese in Chile. Carolina said that Chilean speak Spanish and have little opportunity to access foreign languages. She hopes that she can build a bridge of human exchanges between the two countries through teaching Chinese language. 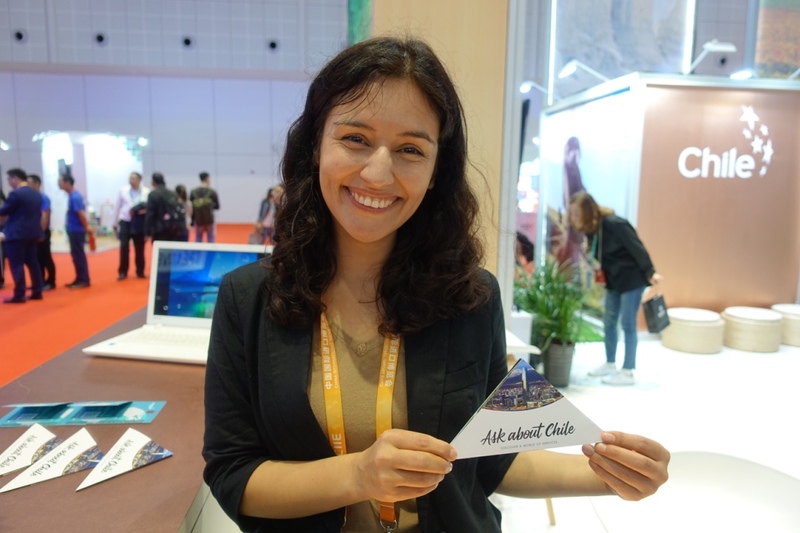 Carolina’s biggest wish in participating the first CIIE is to make more Chinese people know more about Chile and gradually love Chile, the beautiful country. When the journalistwanted to know more from Carolina, a gentleman from Guangdong trade delegation jumped in, saying that he wants to know the domestic situation of Chile and is looking forward to cooperate with Chile in producing and processing appareland hats if possible.